A shocking revelation causes chaos in National City. Supergirl (Melissa Benoist) sets out to capture Mercy Graves (guest star Rhona Mitra), while Alex (Chyler Leigh) takes control at the DEO. Back at CatCo, Kara decides to write an investigative story on Mercy and asks Lena (Katie McGrath) if she can interview her as Mercy has ties to the Luthors. Meanwhile, Brainy (Jesse Rath) meets Nia (Nicole Maines) and the two end up in a precarious situation. Harry Jierjian directed the episode with story by Dana Horgan and teleplay by Maria Maggenti & Daniel Beaty. Air Date: Sunday, Oct. 21 (8:00-9:00 p.m. ET) on the CW. 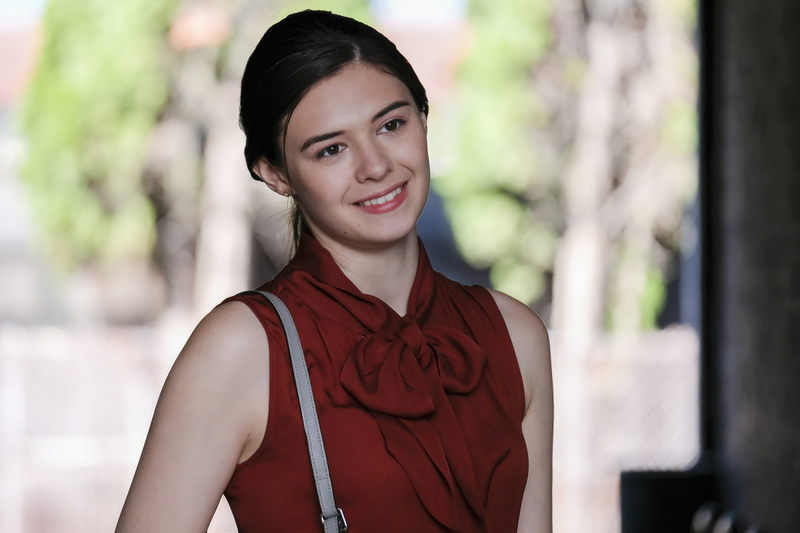 Supergirl -- "Fallout" -- Image Number: SPG402C_0005b.jpg -- Pictured: Nicole Maines as Nia Nal -- Photo: Robert Falconer/The CW -- ÃÂ© 2018 The CW Network, LLC. All Rights Reserved.